G13 Gallery is pleased to present ‘Art Trio’: The Nik Brothers, a debut exhibition of new figurative paintings by brothers Nik Mohd Hazri, Nik Mohd Shazmie and Nik Mohd Shahfiz. Graduates from UiTM, the leading art institution of the country, Nik Mohd Hazri, Nik Mohd Shazmie and Nik Mohd Shahfiz are steadily making their mark in the local art scene with their skillfully rendered figurative works on themes ranging from the serious, humorous to the bizarre. 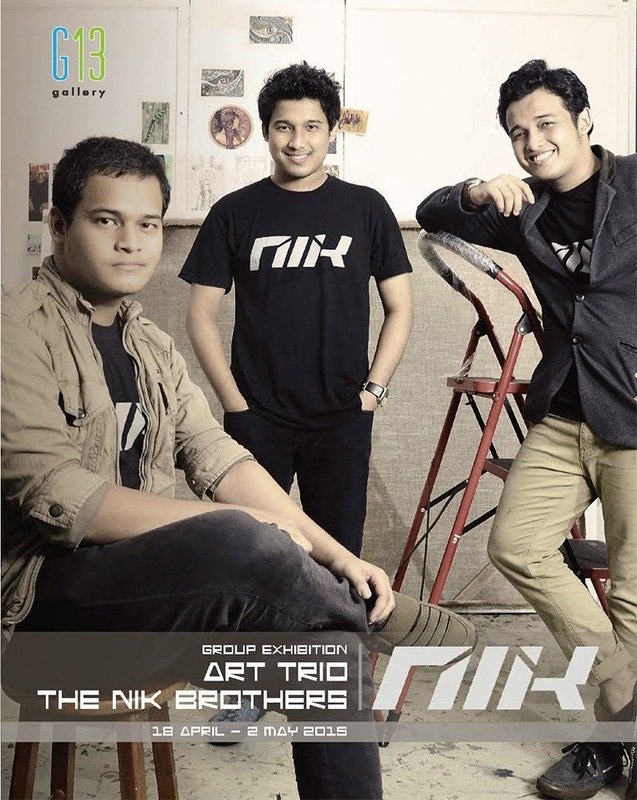 ‘The NIK Brothers’ announces the coming of three new emerging talents into the local art scene who will be making waves in the next few years. Opened to the public from 18th April – 2nd May 2015 at G13 Gallery, gallery opens daily from 11am to 5pm, closed on Sunday and Public Holiday. Opening Reception : 18th April 2015, 8pm. Please Whats app your preferred artwork image to +6013 - 234 2126 (Wendy) if you have any urgent inquiry.